The dreaded annual review was created with good intentions and for decades has ruled performance managementpractices. However, in the past few years we’ve been provided with an abundance of research and innovative new methodologies that have prompted some of the world’s biggest companies, most notably GE, to shift away from the yearly practice. With a desire to simplify and improve performance management with more frequent performance feedback, GE is hardly the first company to be changing their methods. 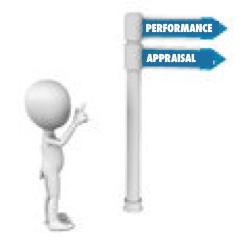 So what is it that makes annual reviews such a poor tool in performance management and why is microfeedback a better alternative? Annual performance reviews are notoriously one-sided interactions. Managers may encourage feedback from employees, but the very purpose of the annual review warrants far more benefits for one party: the company. Managers get to spend an entire session pointing out what employees did wrong, did right and (hopefully) how to fix it. While that sounds fine, think about this: what good is information about something an employee did wrong 6 months ago going to be for that person today? The opportunity for real, solid learning has since gone. If annual reviews did what they were supposed to—which is to positively influence employee performance—then employees wouldn’t dread them. Did you know that 1 in 4 employees call in sick because of anxiety related to their performance review? The standardized, one-size-fits-all approach of annual reviews doesn’t provide employees with the kind of feedback that’s going to help them maximize their potential. This prolongs poor performance issues and delays valuable learning and development. In this fast moving world of endless opportunity, that’s exactly the kind of environment that’s going to keep employee retention at a distance, barely visible and fleeting, if at all. To top this off: 77% of HR executives don’t believeannual performance reviews are an accurate representation of employee performance. Sadly, these weren’t the intended consequences of annual reviews, but new developments in microfeedback software offer much needed redemption in the practice of performance management. In addition to the facts discussed above, annual reviews will never elicit the desired results. First, employee performance is deeply influenced by work relationships, which means for employee performance to improve, the feedback that they receive has to come from someone they trust and with whom they’ve built a solid professional relationship with. How can that kind of connection be achieved if managers aren’t communicating regularly? The short answer: it can’t. Second, is the issue of timing. Managers who interact regularly with their staff should be providing meaningful feedback at the first sign of opportunity. Employees want this kind of communication so that they can learn and grow in their careers right now. They are self-improving individuals who want instant gratification. This is a good thing. Companies like GE, Accenture and Deloitte know this already which is why they’ve foregone annual reviews for more frequent performance conversations. Third, alternatives to the dreaded annual review are everywhere and the benefits of using them are already casting a cloud over annual reviews. With the abundance of employee survey software and microfeedback platforms that make continuous feedback a reality, companies now have a quicker, more efficient, and cost effective approach to performance management. Redesigning how performance is managed doesn’t have to be difficult. In fact, with the right preparation and tools, companies can easily change how they communicate and monitor employee performance—all while saving boatloads (yes boatloads) of money. And now, more than ever, they needto. Employees who communicate regularly with their managers are three times moreengaged than those who don’t. 85% of Millennials would feel more confident in their current position if they were able to have more frequent performance conversations with their manager. 54% of surveyed employees with managers who are open and approachable are more engaged. Employees are seven times more likely to be engaged when their managers hold them accountable for the projects and tasks that they are working on. Companies spend a fraction of the price it takes to carry out performance reviews when they choose to implement a microfeedback platform. With the job market up, employers should be doing everything in their power to retain the best employees and that starts with communication. The evidence that continuous feedback is a necessary and mutually beneficial way to manage performance is abundantly clear. To discuss ways in which microfeedack can fix your performance management practices, contact Michael Heller, Engagiant Software, LLC, at mheller@engagiant.com. Alliant 2 and Alliant 2 Small Business: To Bid or Not to Bid? RFPs for the largest Federal IT services contracts of the next decade are to be released soon: GSA’s Multiple Award IDIQ Government Wide Acquisition Contract, Alliant 2 Unrestricted (A2) and Alliant 2 Small Business (A2SB). Alliant 2 has a $50 billion ceiling over 10 years; Alliant 2 Small Business has a $15 billion ceiling. It is anticipated that there will be 60 awards on A2 and 80 awards on A2SB. As of the second draft of the RFP, GSA’s blog noted that more than 1,000 questions were received about the procurement. Industry interest is high; the competition, stiff. What are your chances of winning? 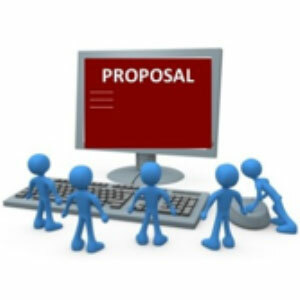 Do you have the resources to prepare a winning proposal? Preparing a proposal can be costly; but so can passing up the opportunities afforded by this vehicle. To bid or not to bid, that is the question. The Contracting Office is still completing their pre-solicitation phase and will announce their intent to post an RFP on FBO at least two weeks prior to an official RFP release—which should be imminently as they missed their initial target release date. It’s not too late to consider submitting a proposal. Relevant Experience (Vol. 2)—GSA’s Alliant seeks to secure firms with a successful track record of experience and past performance on IT contracts. 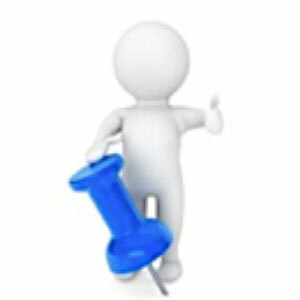 Experience is organized by designated Product Service Codes (PSCs) and Leading Edge Technologies (LETs). Projects by PSC Group must be either ongoing or must have been completed within the last 5 years. The projects can be government or commercial and must be prime contracts that are greater than $1M; a subcontract will not be considered as a non-government contract. You will score higher if you show: (a) a large range of competencies and projects, (b) support to a number of Federal agencies, and (c) large contract values. Past Performance (Vol. 3)—This includes references for those projects that fall under the PSCs, including CPARS. An offeror can submit up to seven projects for review. Points for past performance and relevant experience are the critical factors here—equaling almost 50% of the total points available. Systems, Certifications, and Clearances (Vol. 4)—The RFP identifies a number of items in this category for scoring—ranging from a Cost Accounting System to Industry Certifications (e.g., CMMI or ISO) to security clearances. While these are not specifically required by GSA, the more that you have, again, the higher you will score. Of note, a DCCA or DCMA-approved Cost Accounting System has the largest amount of points in this category. Cost/Price (Vol. 5)—Direct labor rate ranges are provided in the RFP and offerors are encouraged to provide convincing rationale to support a lower or higher direct labor rate than those provided. If the rates are not considered fair and reasonable, you will not be eligible for an award regardless of the technical score. Evaluate your scoring and make an informed decision. A recent article in Washington Technology estimates that of the 75,600 points available, you would need a minimum score of 59,000 points to win on A2; 47,000 points to win on A2SB. Of course, these are estimates only, but can serve as a benchmark in your decision-making. Once you believe you are competitive, do not wait until the RFP hits the street before you begin to gather your documentation—this is detailed and time consuming. SJ&A consultants are available to assist you in evaluating your chances of a successful bid, and in helping you prepare a winning proposal—from coordination to writing/editing to Red Teaming. For more information about this opportunity, contact Steve Bruce at (703) 989-2799 or e-mail him at steve@sidjaffe.com. In the last issue, we discussed Competition, the fourth of the five C’s of proposal preparation. To refresh your memory, the other four were Compliance, Capabilities, ConOps and Compelling. Let’s move on to the last one: Compelling. Make a good first impression—come out swinging! Many proposals begin with, “ABC Company is pleased to submit this proposal…” Know that your prospective client does not care about you or if you are pleased—they only care about their bottomline. The first few paragraphs of every proposal section or chapter are crucial. Ensure that you engage them by focusing on their wants and needs at the top, summarizing key points at the beginning. Ensure that every sentence has meaning for them; superfluous information about your company is neither wanted or helpful. Convince the reader—features tell/benefits sell! Keep your proposals to the point, focused on the benefits of your product or service, not just the attributes or features. For example, just stating that you have an ISO certification is not convincing. Expound on what that means to a potential client—for example, that the client will receive service in a clear, consistent, and predictable manner with a rigorous documented quality control program. No boilerplate—ensure that the potential customer feels “special.” Each project and potential customer is unique and the proposal should reflect that. While it is tempting to re-use text and graphics from a previous proposal, you must ensure that your language reflects the opportunity and requirements at hand. Stay focused on this customer and prepare a solution for them. Evaluators can “smell” boiler-plated material and it is a turn-off. A bored evaluator is not an engaged evaluator—be creative! The goal is to compel the evaluator to keep reading—do not risk disengagement. Grab and keep the attention of the reader through the use of present-tense verbs, graphics, headings, and even descriptive figure and table captions. Be concise; use clear, plainly stated language, not jargon. Regurgitate—yes, imitation is the sincerest form of flattery! While most RFPs do not want you to merely repeat the Statement of Work in the proposal, you must assure them that you have heard and understand their requirements. This includes those items that you have learned from the customer during the Capture phase that are not specifically articulated in the RFP. Know your customer, and speak their language. Write Well! You’d be surprised at how many proposals are dismissed immediately because there’s a typo in the first paragraph or it is sloppily prepared. Use a fresh pair of eyes to review the proposal or a professional editor prior to your Red Team review. The proof is in the details—be specific! It’s not enough to tell the potential client that you can provide the service or product. If you are confident that your approach can increase their productivity by 35 percent, for example, then say so! Then, provide the “prove-it” points. Back up your solution with credible facts and figures or a case studies—qualify and quantify your text wherever you can. Use examples of where you have provided the scope of work previously and the specific performance metrics that you achieved; a graphic illustrating it is best. Empty phrases such as, “we have experience in providing XYZ” or “we understand the requirements and therefore should choose us” is not compelling without proof. Let’s add another vital element— our attitude! Show Your Enthusiasm and Commitment! To be truly compelling, your proposal must demonstrate that you really want the contract. When a proposal team is motivated to secure a win, it is reflected in the document. Your dedication to the project shows. Often, “it takes a village” to prepare a compelling proposal—technical experts, writers, editors, cost and contracting specialists, and graphic specialists. Providing a well-crafted document with a single voice requires a concerted effort by a group committed to the win. This commitment should start from the top corporate management who should pay attention to the proposal initiative and the team, demonstrating the importance of the win to the company. Only if the proposal team is convinced of its importance and a possibility of a win, can they convey a compelling message themselves. If you would like to discuss ways in which we can support your proposal development needs, contact JP by e-mail at jp@sidjaffe.com or call him at 703-568-6417. The same improvisation training that famous comedians practice can be an extremely effective tool in the corporate business setting. It fosters: agreement and consensus, camaraderie and teamwork, and creativity. It’s also fun! When people hear the word ‘improv’ most think of stand-up comedy or the short form theater games that are played on Whose Line Is It Anyway—situationsthat makes you laugh, but best left to the professionals. However, long-form improv is completely different, featuring complete scenes with real characters and true emotions. It’s quite funny, but can also be moving at times. A strong run of long-form improv is akin to watching several short one-act plays, all completely made up on the spot. The best part is that just about anyone can pick up the basics to perform long-form improvisation—you don’t have to be super-talented like Amy Poehler or Steve Carell to be able to create great scenes and to glean the benefits of the activity for the business environment. The lessons and skills learned through improv classes or workshops extend well beyond the stage and can impact professional lives by improving communication, fostering teamwork, and providing a new set of tools for creativity at work. By agreeing with and supporting each other, the performers build a scene together piece-by-piece. Surprising, often hilarious, elements of the scene emerge spontaneously just by the act of listening and agreement. It’s the ultimate expression of creative teamwork! For it to be successful, the players must commit to being open—adaptable to each other’s scene contributions. If an individual tries to steamroll with their own set-in-stone agenda, it will fail. In business, it can be easy to reject a new idea; it’s easier and much safer to say ‘No’. But if the team says ‘Yes’ long enough to follow the idea—just to see where it naturally goes—then they are actively listening and open to new possibilities. When someone else on the team adds in the ‘And…’, your team is now actively working together to find creative, and often surprising, solutions without negating anyone’s ideas. Not every idea is a winner. Any run of long-form improv scenes has its share of clunkers. But if a scene is flailing or going off the rails, their troupe mates can end or “wipe” the scene, rescuing their teammates from failure. Then, a brand new scene is started immediately and no one dwells on the one that didn’t work. A certain amount of failure is necessary to get to the successes. It’s built into the improv system! If your team, at work or on the improv stage, has your back in any situation, it provides a safety net that greatly reduces the anxiety of failure. Great ideas, and great scenes, happen because of this freedom to step out and try something new. The concept of “Yes, and…” can completely transform the way business meetings work by reducing negativity and encouraging participation from everyone. When team members feel heard, they’ll be more encouraged and excited to actively participate in a positive atmosphere of agreement and support. Consider using improv at your next corporate retreat or All-Hands meeting! Contact Daniel Brown for facilitation services at 240-438-2064 or e-mail him at refleximprovforfun@gmail.com. More information can be found at his website: www.refleximprov.com. Daniel Brown is a graphic designer, web designer, and videographer for SJ&A, and teaches improvisation classes for Washington Improv Theater in Washington, DC. Many of our clients are resolved to conquering new territory this calendar year—expanding their customer footprint. We recommend using a small team of experienced people to manage business development efforts where your company does not currently have business. We call this Exploratory Teams. This team “owns” the prospective client and manages all business development efforts in that agency. 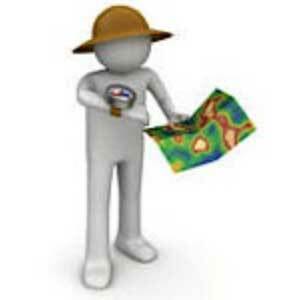 It is established when a company identifies a target agency or organization to explore. The team is not large, usually between four to eight people, and is led by an agency-experienced person who is a line manager or a professional business developer. Operationally, the Exploratory Team’s first task is to develop and implement a “New Organization” Business Plan. This plan is a living document that structures collection and evaluation of information in order to determine the agency’s mission, goals and objectives and identify key decision makers and their priorities. The strength of the Exploratory Team lies in the members’ close working relationship with key players of the potential customer, enabling the team to identify problems quickly and to muster resources to solve those problems. Team members use those relationships to build or enhance their “business friendships.” As team members get to know their counterparts better, they learn more about the agency, its problems and its dreams. The Exploratory Team meets frequently to discuss events and situations they have observed in the target market. They meet often with potential customers to enhance the customers’ knowledge of the company and to refine their own knowledge of the agency. Like the Customer Service Team, their close working relationship and concentration on the target agency enable them to develop a sound knowledge of the agency. It can take a year or more to get a team up to full operation; however, Exploratory Teams get better with age. 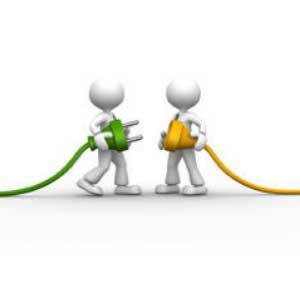 The team draws upon other people in the company to assist them. They bring in technologists to assist in analysis and prepare white papers or briefings. Business developers facilitate contacts and meetings and support the exploratory efforts. Most important, the team manages and coordinates all client-related business development operations so that there are no surprises or duplicate efforts. Using Exploratory Teams to grow new and often strategic business can dramatically enhance the success of your overall business development efforts in 2016. Want to discuss business development teams and ways they could help you grow more rapidly? Contact me at (703) 642-5153 or by e-mail at bill@sidjaffe.com and let’s talk. In the proposal world, be it in the commercial or government marketplace, and either written or oral, experienced managers and writers bolster their presentations with evidence of past success. “As evidenced by…” forces the presenter to be compelling and bolsters the concept of risk reduction for the potential client or reviewer. The same “As evidenced by…” approach can be used for your 2016 corporate planning. Have you identified those factors—qualitative and quantitative—that prove you have been successful, providing compelling evidence that your strategies, activities and tactics are working and minimize risk? The old saying is if you can’t measure it, you can’t manage it. Identifying what has worked in the past does not guarantee future success, but it is an organizational approach to capitalizing on your teams’ proven success and an assurance that you are not repeating actions that did not create the desired outcomes. We suggest the following simple exercise of responding to the statements about your performance and analyzing the answers in order to base future actions. Revenue: The following is evidence that we have used a proven process to accurately and successfully forecast our 2015 revenue… Based on the evidence what, if any, changes are needed in 2016? Net Profit: The following is evidence that we have used a proven process to accurately and successfully forecast our 2015 net profit… Based on the evidence what, if any, changes are needed in 2016? Opportunity Pipeline: The following is evidence that we have used a proven process to accurately and successfully forecast the firm’s pipeline… Based on the evidence what, if any, changes are needed in 2016? Expenses: The following is evidence that we have used a proven process to accurately and successfully forecast our 2015 expenses. Based on the evidence what, if any, changes are needed for 2016? Attracting and Retaining Staff: The following is evidence that we have used proven processes and systems to successfully attract and retain our people. Based on the evidence what, if any, changes are needed in 2016? After answering and analyzing these five statements (and other key performance metrics), you can form the basis for implementing an action plan to ensure a strong 2016. Let us know how we can assist. For more information on organizing, training and measuring the effectiveness of your BD plan and team, contact Sid Jaffe at sid@sidjaffe.com or call him at 703-855-3160.